Democratic strategist Jessica Tarlov, former John McCain campaign director Ford O’Connell and ‘Politico Playbook’ co-author Anna Palmer discuss whether Senate Republicans will be able to pass their tax reform plan. President Donald Trump’s push for tax cuts hit new turbulence on Tuesday, with Democrats abruptly pulling out of a planned White House meeting with him after he sent a tweet attacking them, while some Senate Republicans were demanding changes to the tax bill. Several Republican lawmakers were seeking modifications in exchange for their help in advancing the tax legislation, which the party sees as crucial to its political prospects going into the 2018 elections. The Senate Budget Committee was scheduled to consider the bill in the afternoon in a session that had initially been seen as a formality, but was becoming potentially more problematic. Trump went to the U.S. Capitol to meet with Republicans at their weekly policy luncheon. 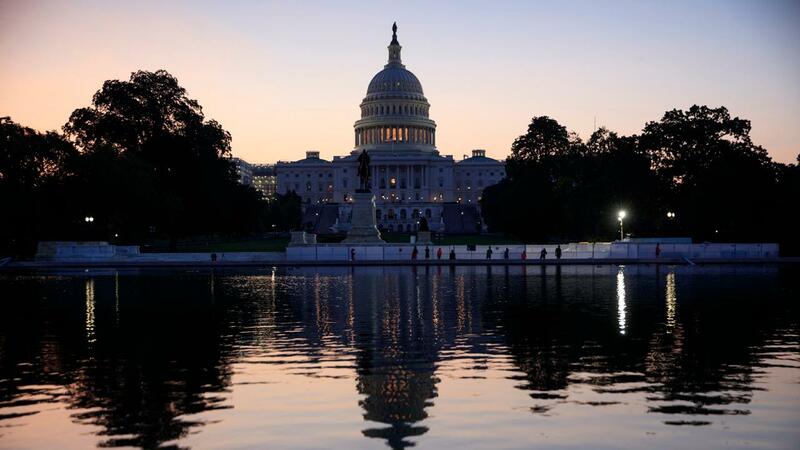 The Senate was poised for a possible vote on tax legislation as early as Thursday. The president had been scheduled to meet later in the day at the White House with congressional leaders of both parties. But he cast doubt on Tuesday morning on the prospects for agreeing with Democrats at that meeting on keeping the government open after a Dec. 8 budget deadline. Senate Democratic leader Chuck Schumer and House Democratic leader Nancy Pelosi responded by saying they would not meet with Trump as planned. “We believe the best path forward is to continue negotiating with our Republican counterparts in Congress instead,” they said in a statement. Democrats had already been expected to oppose the Republican tax bill, but the spat over Trump’s tweet likely served to raise the level of partisan acrimony on Capitol Hill, where several critical decisions are looming for lawmakers. Republicans, who control both chambers of Congress and the White House, have yet to score a major legislative victory since Trump took office in January. After a failed push this year to repeal former President Barack Obama’s healthcare legislation, they are eager to score a win before next year’s midterm elections, when control of the House and the Senate is at stake. Trump has called on Republicans to deliver a tax bill to his desk before Christmas. The House of Representatives has already approved its version, which would cut taxes for businesses and individuals. But in the Senate, Republican leaders faced contradictory demands from some lawmakers. Senator Ron Johnson wants deeper tax cuts for some business owners, while budget hawks led by Senator Bob Corker said they were concerned that the tax cuts were too big already and would add too much to the national debt. With only a 52-48 majority in the chamber, Republicans cannot afford to lose more than two votes. The issue could come to a head later on Tuesday, when the Senate Budget Committee votes on the bill. Both Johnson and Corker sit on the committee, and a “no” vote by either of them could complicate its chances of passage because Republicans control the panel by only one vote. The Budget Committee needs to clear the tax bill for handling under a Senate procedure known as reconciliation rules, which would allow passage of the bill in the full Senate by a simple majority, instead of the more typical 60-vote margin. To qualify for reconciliation, the bill must not make changes to law unrelated to the federal budget and it must not significantly increase the federal deficit after 10 years. Senators were working “feverishly” to address concerns, Corker told CNBC on Tuesday morning. “It’s important not just to me but numbers of members ... that we’re not passing on increased debt to future generations,” he said. The Senate bill would slash the corporate tax rate to 20 percent from 35 percent after a one-year delay. It would impose a one-time, cut-rate tax on corporations’ foreign profits, while exempting future foreign profits from U.S. taxation. Corker and other Republican deficit hawks, including Senator James Lankford, have proposed raising tax rates if revenues fall short of expectations. But Johnson and Senator Steve Daines have pushed in the other direction, arguing the bill leaves rates too high for partnerships and other “pass-through” businesses. Senator John Cornyn, the chamber’s No. 2 Republican, said at a news conference that the bill cut taxes for all but the largest pass-through firms. If the Senate manages to pass the tax bill, its version and the House bill will have to be reconciled into a piece of legislation that both chambers must approve before it can be signed into law by Trump.